Here is my 26 minute sketch for the Explorers Against Extinction Sketch for Survival tour. One African elephant is poached for its tusks every 26 minutes. That’s more than 55 a day. 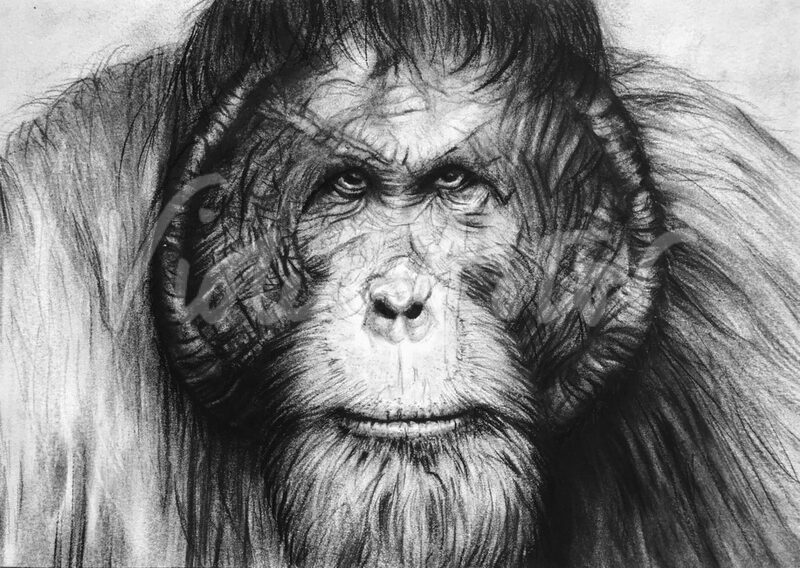 Sketch for Survival aims to raise awareness about species extinction while also raising significant funds to fight wildlife crime through our touring wildlife art exhibition and online charity auction. Many artists and celebrities donated original artworks from over 30 countries including Botswana, Zimbabwe, Iran, India, Russia and the UAE. Celebrities included Dame Helen Mirren and Dame Judi Dench, comedian, writer and actor Stephen Fry, Withnail & I and Game of Thrones actor Richard E.Grant, celebrity chef and Bake Off star Mary Berry, international bestseller Frederick Forsyth, Four Weddings and Harry Potter actress Sophie Thompson, the world’s most famous living explorers Sir Ranulph Fiennesand Colonel John Blashford Snell and renowned Wallace and Gromit multi-Oscar winning animator and director Nick Park. It is truly an international campaign against poaching. The auction ran from Saturday 22nd September 2018, World Rhino Day, and finished November 25th 2018. The pieces were taken on an international tour: Harrogate, London, Bath, New York and Norwich.